Cowboy Bebop English Voice Cast coming to AX 2016! We’re excited to welcome Steve Blum (Spike Spiegel), Mary Elizabeth McGlynn (Julia), Melissa Fahn (Ed), Wendee Lee (Faye Valentine), Beau Billingslea (Jet Black), and Tony Oliver to Anime Expo 2016! Steve Blum, Mary Elizabeth McGlynn, Melissa Fahn, Wendee Lee, and Beau Billingslea will participate in a panel together MC’d by Tony Oliver on Monday, July 4 from 2:15 – 3:15 PM. All six guests will also participate in the Cowboy Bebop Jazz Cat Experience. Experience the music and art of Cowboy Bebop live w ith Alice Underground’s stellar ten-piece jazz ensemble rocking the house with dynamic visuals from the show. 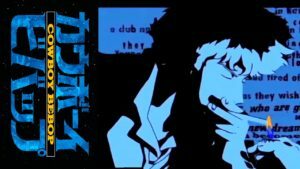 Going deeper into the story of Cowboy Bebop, Bang Zoom! Entertainment brings some of the iconic English voice cast on stage to reminisce about this highly acclaimed series. This is the rare opportunity to experience a live performance of legendary music of this unforgettable show. Don’t forget to secure your badge to Anime Expo 2016 today! 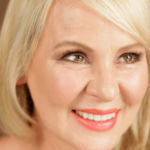 Wendee Lee has over 300 credits as a voice actress in anime, video games, and live action. She is best known for the roles of Faye Valentine (Cowboy Bebop), Haruhi (The Melancholy of Haruhi Suzumiya), TK (Digimon Adventure), and Konata Izumi (Lucky Star). In addition, she has been ADR Director for anime including Bleach and Outlaw Star. 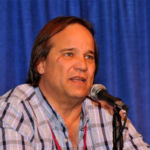 Tony Oliver, who was named to IMDB’s top 20 all-time Anime Voice Actors list, began his career as an actor on stage and camera performing in several feature films and dozens of plays. He found success as a voice over artist, lending his voice to one of the first foreign made animated features to receive wide US release (The Sea Prince and the Fire Child). His first foray into television was as the voice of Rick Hunter in the groundbreaking anime series Robotech. Following that he turned his attention to writing but continued his voice acting career. 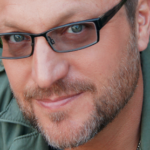 Steve Blum is a voice actor, best known for his roles as Spike Spiegel in Cowboy Bebop, Mugen in Samurai Champloo, Starscream in Transformers: Prime, Wolverine in several incarnations of The X-Men (animated movies, games, the Wolverine and the X-Men TV Series, The Super Hero Squad Show, X-Men Anime, Ultimate Spider-Man, and more), Heatblast, Ghostfreak, and Vilgax in Ben 10, Amon in The Legend of Korra, Eikichi Onizuka in Great Teacher Onizuka, Guilmon in Digimon, Orochimaru, Zabuza, Ōnoki and Ao in Naruto, and many more. Steve was awarded the Guinness World Record for being the most prolific video game voice actor in 2012, with roles in franchises such as God of War, Call of Duty, Tom Clancy’s Ghost Recon, Naruto, X-Men and Transformers. Mary Elizabeth McGlynn is a voice over actress, writer, singer and director. As an actress, she is currently playing Dr. Maheswaran in Steven Universe, Valkyrie in Lego Marvel’s Avengers, Talis in StarCraft II, Johanna in Heroes of the Storm, Queen Metalia in Salor Moon Crystal and Brooha in Glitter Force. Mary Elizabeth portrayed Major Motoko Kusanagi in Ghost In The Shell Innocence, Solid State Society and Ghost In The Shell: Stand Alone Complex for which she won the American Anime Award for Best Actress. She is also known for many more roles such as Cornelia in Code Geas. Kurenai from Naruto, Julia from Cowboy Bebop, Zanpakuto from Bleach, Helba and Bordeau from .hack, Jagura from Wolf’s Rain, Nuriko in Fushigi Yuugi and Caroline from Vampire Hunter D, and many more. 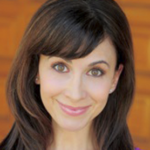 Melissa Fahn has been a busy, versatile, and prolific voiceover artist since her big break as the voice of Betty Boop. She has voiced hundreds of characters in the world of animation, including Edward on Cowboy Bebop, Gaz on Invader Zim, Rika on Digimon Tamers, Ninamori on Fooly Cooly, Haruka on Noein, Nene on Digimon Fusion, Kristy on Digimon Data Squad, Tia on Zatch Bell, Bouquet on Blue Dragon, Jessica on Gormiti, Sasha on Stitch, the voice of Hello Kitty, the voice of Betty Rubble, and many more, including dozens of video games. Beau Billingslea is an American actor and voice actor, known as the voice of Jet Black in Cowboy Bebop. He has voiced numerous characters in anime, video games, and movies such as Cao Ren in the Dynasty Warriors series, Ben Jackson in Tiger & Bunny, and many more. 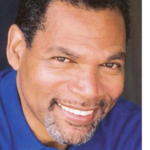 In addition to voice acting, he has appeared in many popular TV series as a prolific guest actor.